PUNE: A total of seven educational institutes from Pune had appeared in the list of 123 national ‘deemed’ universities and they had to convey their acceptance to drop the university tag by Thursday afternoon. In order to reduce the risk of losing the ‘university’ status, most educational institutes in Pune have agreed to comply with the directive to drop the university tag from their names. This was after the higher education regulator, University Grants Commission (UGC), issued two directives on Wednesday. As per the order, a compliance report had to be emailed to the UGC by 4 pm. “Necessary action would be initiated against the institutions, which may include recommending withdrawal of the declaration,” the two letters from the UGC stated. Among the first few to receive the two letters, Pune’s Symbiosis was one. Responding to the same, Dr Vidya Yeravdekar, principal director of Symbiosis Society, Symbiosis International University (SIU) stating the institution’s situation. “Currently, we really don’t have an option but to comply. For now, we have to use the name Symbiosis International Deemed University, and we are writing a proposal to UGC stating this. 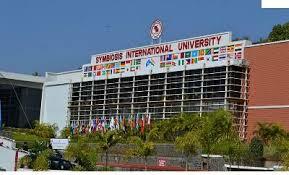 But this will be without prejudice to the fact that if we file a writ petition, or there is stay on this regulation, either due to our petition or for some other ongoing petition in the court, then we would be allowed to revert to our name of Symbiosis International University,” Dr Yeravdekar said. “We had been using the term ‘university’ legally after being declared so by the central government under Section 3 of the University Grants Commission Act. And now this sudden change makes no sense. In my opinion, the ministry should actually amend the UGC act. Pune being an education hub, with seven universities having to drop this status, it is bound to create a lot of problems,” she added. She claimed that the directive holds no purpose as the institutes named are indeed well established, and would only create problems for the students and the academic development of the students. “For an international university like ours, this move is bound to affect our international collaborations, especially in terms of the students including those on scholarships. The term ‘deemed’ which is just an adjective will create confusion, and will also affect global rankings, by questioning our contribution as a full-fledged university,” she addded. Bharati Vidyapeeth, Deccan College Post Graduate and Research Institute, Dr DY Patil Vidyapeeth, Gokhale Institute of Politics and Economics, Institute of Armament Technology, Symbiosis International University and Tilak Maharashtra Vidyapeeth are the seven educational institutional institutes that were included in the list. The Wednesday directive was followed by the Supreme Court order of November 3, which asked UGC to curb deemed-to-be universities from using the word “university” in their titles. In contrary, Bharati Vidyapeeth University announced to have resolved the issue. “Ours is the only institute in all those listed from Pune who have complied UGC’s directive well within the time. On November 22, we had communicated to UGC that Bharati Vidyapeeth is the name of the trust and that we already use deemed university in our title. Now, the only change made will be using ‘deemed to be’ instead, within a bracket in the second line, after ‘Bharati Vidyapeeth,” said Jaykumar G, registrar.